Francesco (Frank) Lorenzetti is a freelance concept artist who grew up near the Swiss Alps and now works in Montreal. While he speciallizes in envrionment concepts, he often experiments and uses a variety of software to create his paintings. Check out Francesco’s ArtStation-powered portfolio website. 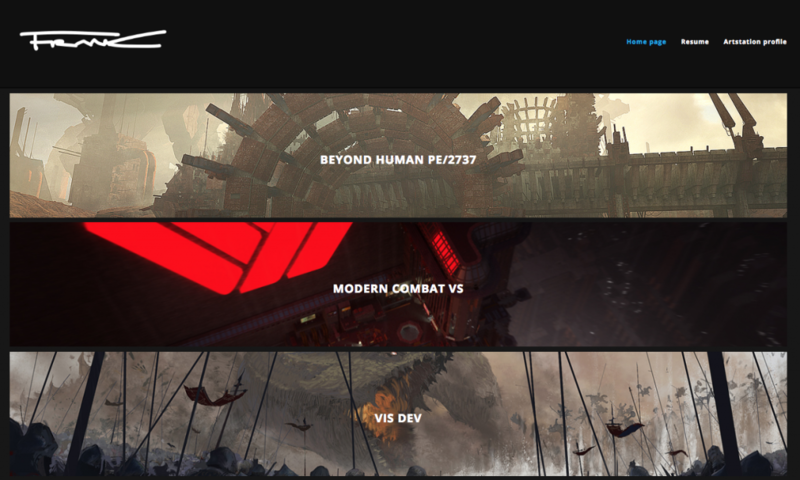 The ArtStation Pro Horizon theme he uses enables him to show sections of his landscape paintings elegantly and give a preview of the artwork before seeing the project page. What training or studies brought you to the level you’re at today? Once when I was a child, I remember my mother taking me to a toy store and seeing the packaging for a game console with a Space War illustration and thinking, “when I grow up, I’m going to pain spaceships.” A few decades later and here we are. First, I did a decoration painter diploma where I learnt all the basics from painting a building to creating decorations for churches. After that, I moved to traditional Illustration school in Milan. At that time, painting on a PC was still something not very common for most artists and I didn’t know that the job of Concept Artist existed. After I got my Illustration diploma , I worked for a few years as a house painter and in those years I managed tons of kilos of white paint. I was also doing some illustration for a local newspaper where I was living in Switzerland. As I started to have internet connection, I discovered the digital art wold. This was around 2006 when a lot of artists started to have blogs. That’s when I realized that I could possibly become a concept artist so I did my homework and started taking the steps towards training digitally. I painted a few more houses and with the money I made, I subscribed for a few terms at the Gnomon School of VFX in Hollywood. That was the final kick that allowed me to finalize my portfolio and get my first job as a concept artist. Tell us about one of your favorite projects. Modern Combat VS. I wouldn’t say it’s my absolute favorite project I’ve ever worked on but it is definitively the one that opened the most doors for my creativity. The art team was amazing and I had the chance to learn some 3D Modeling and rendering software. From that moment I started to have more interest in the production/tech side of games. What are your career aspirations for the future? My aspiration right now is to learn as much as I can especially on the tech side. Technology is evolving very fast and I find it so interesting to learn new tools, new software or finding different approaches to create. What we can create today is just crazy, from photometry to procedural creation or VR content experiences. For me, using only Photoshop and a pen alone is not interesting anymore. Of course I still enjoy drawing and painting but I I’m less and less interested in 2D art as a field for research. I remember I was at Gnomon School for a creative figure drawing class and the teacher forced us to slow down the gesture drawing. He wanted us to put more attention on the details we see in reality than what we thought was happening on the paper. The takeaway was: slow down and look the reality more consciously. We can learn so much by just observing. 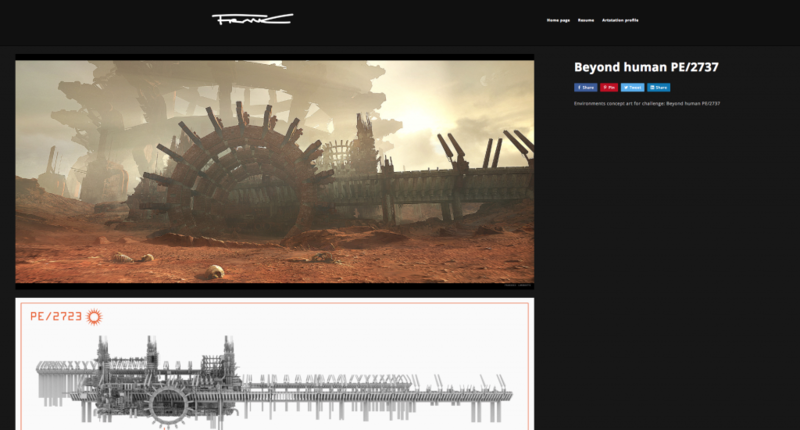 See more of Frank’s work on his portfolio website. Find out more about ArtStation Pro websites here.